There are many tasks in child development that can be a little more tricky for children with ASD. Find resources on eating, sleeping, and potty training here. Sleep Better! : A Guide to Improving Sleep for Children with Special Needs by Vincent Mark Durand. This book offers step-by-step, “how to” instructions for helping children with disabilities get the rest they need. For problems ranging from bedtime tantrums to night waking, parents and caregivers will find a variety of widely tested and easy-to-implement techniques that have already helped hundreds of children with special needs — especially children with autism, Tourette syndrome, and cerebral palsy. Pp. 288. 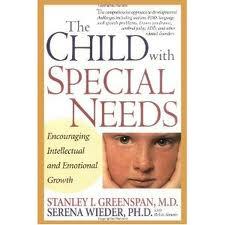 The Child With Special Needs: Encouraging Intellectual and Emotional Growth (Merloyd Lawrence Book) by Stanley I. Greenspan, Serena Wieder, and Robin Simons. This is a guide to raising children with special needs. 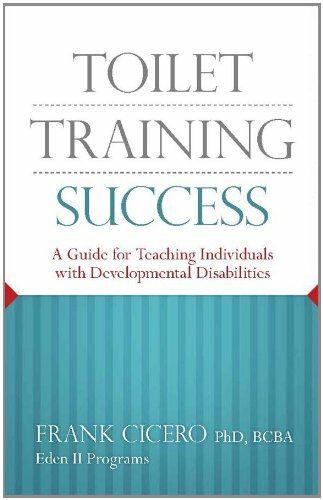 It is a complete, step-by-step approach for parents, educators, and others who work with developmental problems. The authors first show how to move beyond labels to observe the unique strengths and problems of the individual child. Next, they demonstrate the techniques necessary to help the child not only reach key milestones but also develop new emotional and intellectual capacities. Pp. 512. 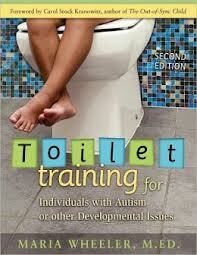 Toilet Training by Maria Wheeler. This is a comprehensive guide for parents and teachers. 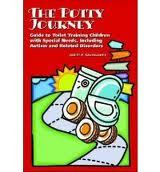 This book helps with showing the importance of toilet training along with ideas and advice on how to help the process of toilet training. Pp. 118. Can’t Eat Won’t Eat by Brenda Legge. Finding out that your child has Asperger Syndrome can be devastating enough, but when you discover that he or she won’t eat 99.9 percent of all food and drink in the known universe, the fun really starts. The author found herself in this situation when her son first took a dislike to milk, then to virtually every other food. Her book was written to reassure other parents in the same boat, and to suggest practical methods of dealing with the problem. The experience of other parents, children, and professionals with first-hand knowledge of dietary difficulties, and their advice and comments are included. Pp. 208. Just take a Bite by Lori Ernsperger and Tania Stegan-Hanson. 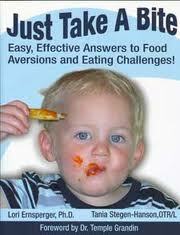 This book offers a practical and contemporary approach to helping children who are problem eaters. It’s an excellent resource on why some children have eating challenges and how to use different strategies to promote positive mealtime environments. Pp. 236.